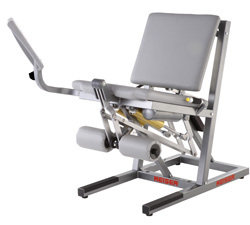 The Air300 Leg Extension with its unique unilateral movement is a perfect match for rehabilitation and sports specific applications. Keiser�s pneumatic technology allows users to train at unlimited speeds, making it ideal for power training. The additional benefit of the unilateral movement also helps correct strength imbalance.